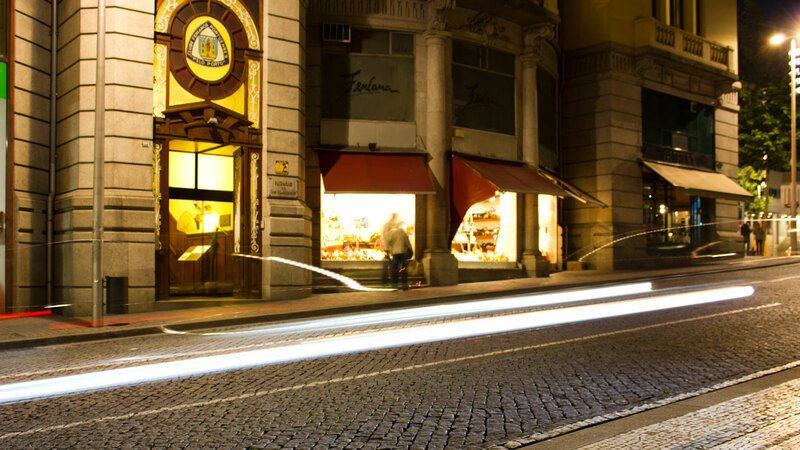 Picture taken with 8 seconds shutter speed with a taste of the downtown life, traffic, shops, cabs and the idyllic trees. 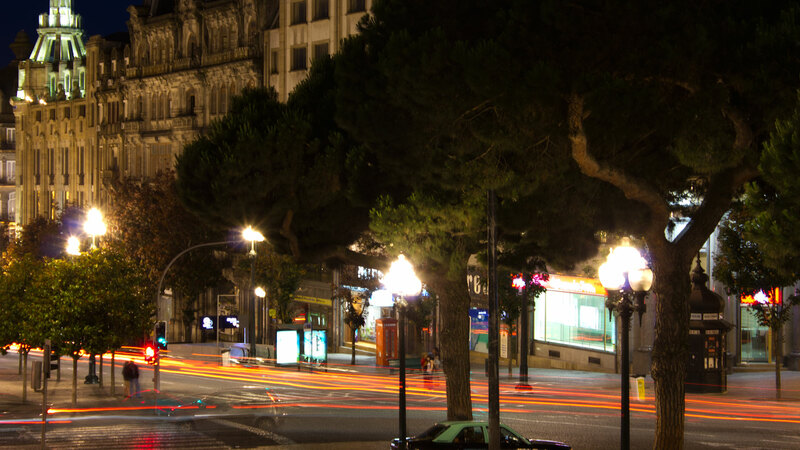 Right next to the City Hall in downtown Porto. Romantic boutique with a good selection of bags and womens accessories. 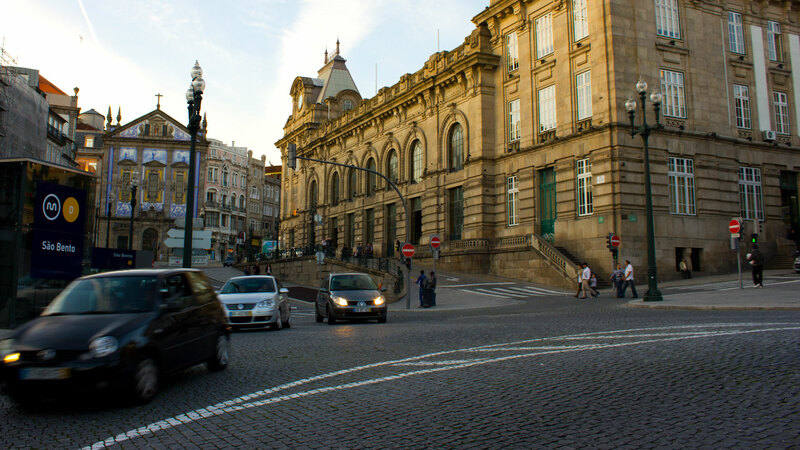 Photo taken on the way down to the famous Ribeira seaside in the front of the Sao Bento Railroad station and metro. Photo taken from the bridge named Ponte Luís I, one of many bridges that connects Porto and Gaia. The bridge has a total length of 385 meters and was opened in 1886. 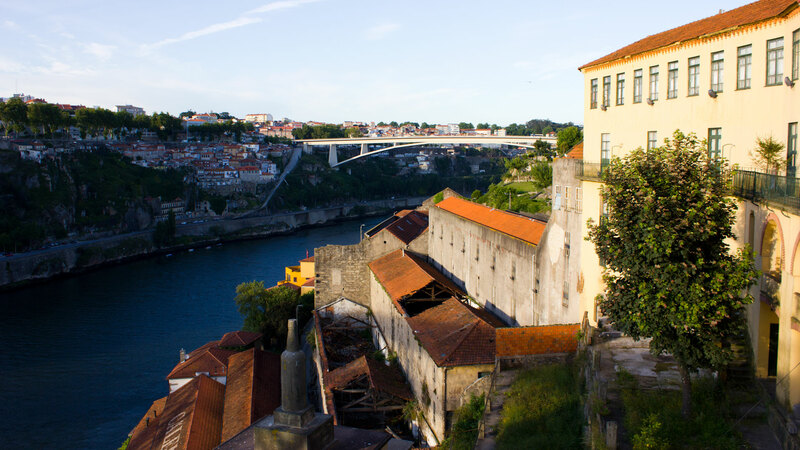 The Douro river runs right below the historical bridge.